As a Swiss American and a landscape architect, there’s no surprise I have window boxes at my home. Challenge is, the front of my house faces west and my plants get hammered with both sun and radiant heat from the exterior stucco. Even after selecting the most sun tolerant annuals, I can’t keep up with the watering…morning and afternoon…it ain’t enough…come July everything’s is just fried. Bummer! Last year I found some great terracotta watering spikes at Rhoads Garden in Montgomeryville, a set of 4 spikes for about $20 bucks, home run, right?! Well almost. 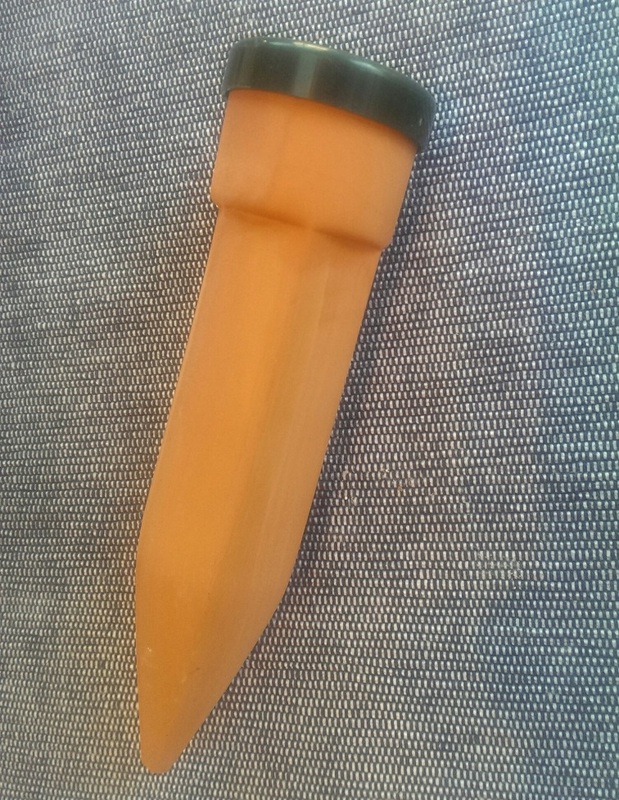 While each spike is about 7” long and equipped with a nice treaded top for a soda bottle, I found that not all ‘treads’ are universal and my water bottles frequently were ‘blown away” or ‘tipped’ off the spike rendering them useless. Also, after a week or so, the bottles turned funky green from algae; not the end of the world, but kinda’ bothersome. I knew there had to be a better solution, but what?! 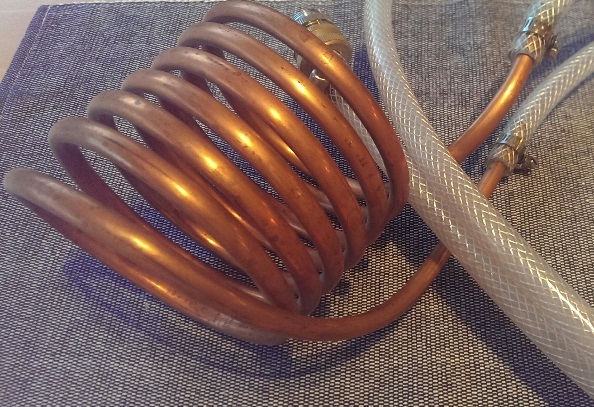 As September brought cooler temperatures and my annual family ‘home brew’ festival (another tradition I blame on my ancestry) I got inspired by my ‘wort-chiller’! I can wrap my water bottles with copper tubing for both stability and a touch of aesthetics. 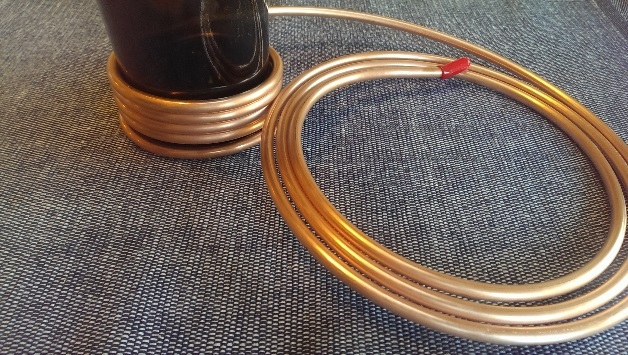 After enjoying several bottles of my favorite red wine and ‘re-purposing’ the dead-soldiers, I picked up a couple of boxes of copper refrigerator tubing for about $10 a box at my local hardware store. With the wine bottles, a pipe cutter and wooden spoon on hand, I started my DIY project! First, I cleaned and de-labeled the wine bottles. I used red wine/green glass bottles to camouflage potential ‘greening’ from algae and to add some contrast against the stucco. 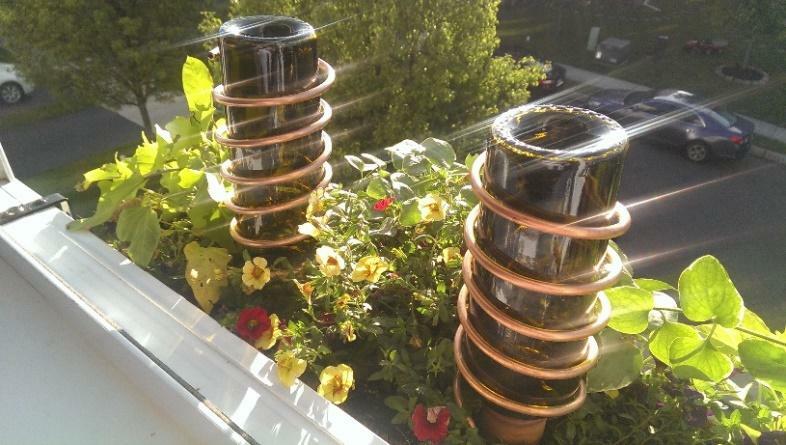 Then I wrapped about six coils of the copper tubing around each wine bottle. Leaving about 6”-8” of extra coiling for a soil ‘spike’, I used a small pipe cutter to cut the tubing. 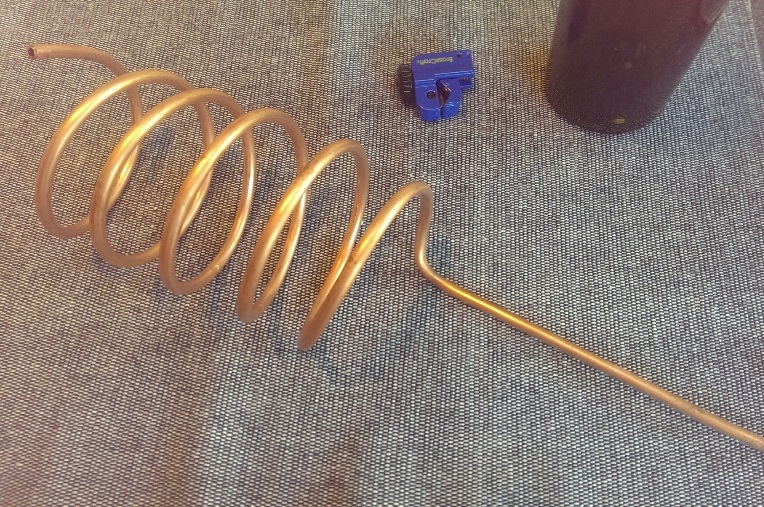 Using a wooden spoon so not to kink the coil, I carefully bent the ‘spike’ so it was perpendicular to the coils. Now, I carefully stretched and loosen the coils for spacing and easy removal of the bottle for refilling. Then I then carefully removed the ‘bottle-top’ from the terracotta watering spikes and stuck that into the soil. Once you’re finished, the wine bottle goes into the top of the watering spike. “Genialschtens,” (awesome in Swiss German!) Plants are happy and I’m happy, challenge solved. 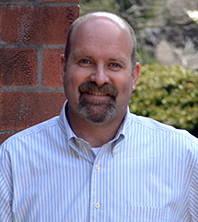 Paul Lepard, RLA, PP is a principal at Nave Newell and director of the firm’s Land Planning and Landscape Architecture Department. To learn more about these services, contact Paul at plepard@navenewell.net or 610.265.8323.